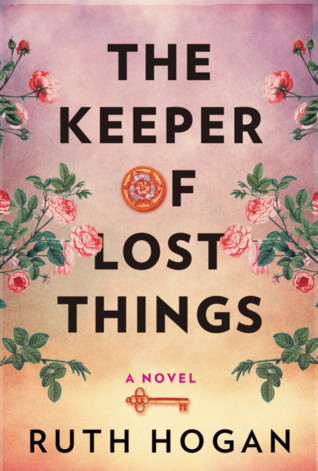 The Keeper of Lost Things is a charming and eccentric heartwarming tale of the life of Anthony Peardew and those who encounter him. After losing his love Therese, Anthony begins to collect lost things. Accumulating random bits and bobs wherever he goes, he labels them all and stores them in his home, Padua. After he passes, he tasks his assistant Laura with the challenge of locating the owners of the lost things. With the help of the handsome, frustrating gardener Freddy and a lovely neighbor girl, Sunshine, Laura sets out on a journey that takes readers through stories of loss, heartache, love, and learning. The first half I was honestly bored and almost stopped reading but I’m glad I continued. I really loved Sunshine. She was so funny, sweet, and gave the book its magical quality with how she could sense what lost objects needed to be returned or not. I especially enjoyed Sunshine’s character and the tales sprinkled in of how certain objects became lost. While I didn’t thoroughly enjoy the first half of this book, once I got to the end I realized what a delight this story was! This tale of love and loss complete with some magical realism will have you both laughing and crying!